What’s more luxurious and opulent than a Rolls Royce? Well, nothing else really, except maybe gold-plated Porsche, but since they don’t have a whole line of those yet, people tend to stick to Rolls Royces. Born out of the partnership between Charles Stewart Rolls and Frederick Henry Royce, the company started out in 1906 in Britain. Right from the start, they set out to build “the best car in the world” as the Silver Ghost was named. Attention to detail and outstanding performance meant that the Silver Ghost enjoyed success right from its launch in 1906. As with many other car manufacturers, during the First World War, Rolls Royce was turned to war production, but instead of building cars, they build airplane engines like the Eagle which was used by half of of the Allied fighters. After the war, the company continued research in the engine department and came up with the “R” engine which was used in planes and cars to set new world records. Post war developed cars include the Phantom I and the Phantom II increasing production. Because the demand increased, Rolls Royce had to open up a second plant in America, in Massachusetts. Another successful move was the acquisition of Bentley in 1931 which would later prove beneficial for both brands. For a long time Rolls Royces and Bentleys would be mechanically identical. The R engine was eventually developed into the praised Merlin engine. It was during the Second World War that the Merlin really proved itself, as all Hurricanes, Lancasters and Spitfires involved in the Battle for Britain would be fitted with such engines. Royce would not live to see the success of his engine as he died in 1933, aged 70. Car production resumed at Rolls Royce after the conflagration and, as sales were increasing steadily, the company opened up new plants in Crewe, Chesire along the one in Derby. The former would become the company’s formal home starting with 1946. Models from this period include the Silver Wraith, the last car to have its body built by an independent coachbuilder. After this, all Rolls royce cars would be built completely in-house. The 40s and 50s were prosperous times for the Rolls Royce company and that is why, in 1966, the manufacturer decided to further expand its influence and buy out Bristol Siddeley, the other great aero engine manufacturer in Britain. In 1950 the Phantom IV, the most exclusive Rolls Royce ever was introduced. Only 18 cars were produced and all were delivered to royalty and heads of state. The Silver Cloud I and II also hail from this period, followed in the 60s by the Silver Cloud III and Phantom VI. Starting with the 70s, Rolls Royce comes to a period of financial decline, owned in part to a failed contract to complete a new jet engine, the RB211. The government had to step in and in 1971 the company was nationalized but that didn’t solve the problem. In 1973 the air and car industries were split by the government and the latter sold in order to keep the airplane industry rolling. Rolls Royce Motors was bought in 1980 by Vickers PLC. The Silver Spirit Rolls Royce was developed in 1981, the first car under the new brand. It followed a whole new line, aimed at a younger market and it was much safer and met the emissions regulations. The Vickers takeover would end in the 90s, as the company was put up for sale again. The omst likely buyer seemed to be the Germans over at BMW, as they already had some ties with Rolls Royce, providing parts for Bentley cars. But at the last minute they were outbid by Volkswagen, which brought things into an awkward situation. VW had rights to the Spirit of ecstasy mascot and the shape of the radiator grille, but BMW held the rights to the double R logo and the name of the brand. The two companies arrived at an understanding since VW really wanted Bentley and decided to sell the right for the mascot to BMW for 40 million pounds. Staring with January 2003, the two brands, Rolls Royce and Bentley, which went a long way back would be now separated, Bentleys being produced by volkswagen and Rolls Royces by BMW. That was also the year Rolls Royce launched the new Phantom, a car which has managed to draw out the new direction of the company for the coming century. What do you do when you have fair amounts of car racing talent, ample passion for automobiles and your enthusiasm, if converted into electricity, could power a small town? You start your own car production and sales business, of course. That is exactly how the Aston Martin brand was started, proudly born into a garage, much like grunge music. Lionel Matin and Robert Bamford garnered levels of success similar to Kurt Cobain’s Nirvana. However, Martin and Bamford’s version of Nirvana was engineered form scrap through a partnership that would ultimately lead to a kick in the luxury auto-market’s groin. Aston Martin was founded in 1913, soon after Martin emerged victorious out of the famed Aston Hill race. The duo produced their first car 2 years later by fitting a four-cylinder Coventry-Simplex engine to a 1908 Isotta-Fraschinni chassis. However, their plans of starting production were abruptly shattered by the First World War outbreak when both of the car-makers joined the army. Still, Aston Martin would prevail as soon as the War was over, with the company being refunded to resume its activity. However, not much time went by before Bamford left Aston Martin in 1920. Luckily enough, a wealthy investor saw the true potential of the brand and poured heavy funds into its rejuvenation. Count Louis Zborowski investment turned almost overnight into a delicious technological improvement reward topped with racing track winnings whipped cream. In 1922, Aston Martin produced vehicles to compete in the French Grand Prix. Besides gaining fame by appearing at some of the most popular races of that time, the cars also collected acclaim by setting new speed and endurance records at Brooklands. The three types of chassis that were used at the time became known as the winning trio with chassis number 1915 at the top and supporting numbers 1914 and 1916 at the sides. However, the tidal wave of fame that has propelled Aston Martin to new heights broke against the solid wall of a 1924 bankruptcy. Still, it survived, having been purchased by Lady Charnwood who gave her son John Benson an important administrative role. It would ultimately prove that her son could not face the challenges of such a position and the company failed again only one year later. By 1926, the doors had slammed shut, with Lionel Martin stepping into the shoes of his former business partner, Robert Bamford. Soon after Martin’s leaving, the company would be revived for a second time by a ring of rich investors including Bill Renwick and Augustus Bertelli who were responsible for the design and performance of some of the models that would later enter production. By 1937, Bertelli had already developed a variety of vehicles, some of the most famous being the ‘Le Mans’, the Mk II’ and the ‘Ulster’. Although Aston Martin was doing well, it was soon afflicted by a third set of financial problems that were deftly fixed by L. Prideaux Brune, who continued to finance the company for a short time. After changing ownership for a fourth time, the luxury car-maker became still, once the Second World War broke out. in 1947, the lethargy that had snugly wrapped around the company’s activity received a coupe de grace from ‘charioteer’ David Brown, who had also acquired Lagonda the same year. Aston Martin Motors, who had gained the name during its 1926 resurrection, had entered a new stage of production. The first model of the DB series would soon appear, with a successor being announced in 1950, the DB3 seven years later and so on until the early 70’s with the DBS V8. Although Aston Martin enjoyed success and appreciation, it switched to financial-trouble mode once more, changing two ownerships over the next two decades until Ford took over in the early 90’s. During this time, Aston had grown in size and notoriety with a much wider palette of offerings ranging from the Volante to the Vantage and the DB7. Although Ford would not slacken the reigns on Aston Martin’s leadership, the board committee was forced to take the same decision as Aston’s previous owners: sell the company. Last year (2007) Aston Martin entered a new era when it was purchased by a Prodrive chairman David Richards-led consortium for the amount of $848 million. Ever since, Aston has registered an overall sales increase and has expanded by opening more dealers in Europe and even moving to China, a performance that hasn’t been achieved in almost a century worth of car-brand history. Jaguars are elusive, carnivorous creatures that roam South American rain forests. They can be easily recognized by their distinct black speckled fur with spots larger than those of a leopard or cheetah. Such information would be most welcome in a National Geographic show but we don’t work for them. We love animals but cover cars and this is all about the wheeled Jaguar. A sight not as rare as it used to be, Jaguars appeared in 1922 under a different company name and profile. Founded as the Swallow Sidecar company by William Lyons and William Walmsley, the company later dropped the production of sidecars to take on coach building that would eventually lead to the launch of the first Jaguar automobile in 1932. Until 1945, all Lyons & Walmsley made cars bore the SS initials, a reminder of the company’s side-car making roots, when the lettering was dropped because of resemblances to WWII nazi troops labels. Jaguar was picked as the new name. During the pre-Jaguar period, the company produced multiple models, beautifully styled cars that garnered as much acclaim as they did criticism. Indeed, some voices insisted that Jaguar was more about glam and style rather than pure performance and reliability. Headquartered in Coventry, Great Britan up to this day, the main Jaguar plant dealt more with bodywork design and assembly rather than going through all car-production stage. The engines and chassises were supplied by the Standard Motor Company while the first were later modified to fit Jaguar designs by William Heynes and Harry Weslake, two racing enthusiasts and passionate engine developers. After having build a number of luxurious saloon cars throughout the 30’s, such as the 1932 SS1 and the sporty SS90, Jaguar amazed the automotive industry with the launch of the XK120, the fastest production car at the time. Sporting a 3.4 liter engine capable of delivering some 180 hp, the XK could reach a top sped of over 125 mph and accelerate from 0 to 60 in less than 5 seconds. Its sheer performance, affordability and sporty slim oval-shaped grille turned the car into an icon. The Jaguar had finally smiled, displaying a wonderful row of competition-puncturing fangs. Sparking interest in other countries as well, the XK 120 has enjoyed a great deal of popularity having been built in over 10,000 units and becoming Jaguar’s first export model. Upgrades of the 120 followed withe the XK 140 and 150. During the 50’s, Jaguar shifted emphasis on building large saloon cars. The Mk VII was the first of a completely new line-up. Despite having been powered by the acclaimed XK engines, the new vehicles were not as successful. the Mk ii however, a smaller and differently styled saloon proved otherwise, becoming Jaguar’s second best selling car at the time, having been produced in some 123,000 units. By the time the 60’s came, Jaguar had already build a strong reputation that was further strengthened with the launch of the ferocious E-type. Officially revealed at the Geneva Auto Show in March 1961, the E-type was the ultimate eye-candy and record breaker. Beautifully styled and incredibly fast, the car could reach an amazing 150 mph. Heir of the C and D-type legacy, the new model was unlike anything the world had seen. The E-type was more technology improved than its predecessors, sporting an overhead cam engine, four wheel disc brakes and independent rear suspension, features that have turned it into a champ car and racing track nightmare for Ferrari who has lost several times against the British producer. After having been built in over 70,000 units, production of the E-type ceased in 1975 when it was replaced by the not so successful XJS. William Lyons’ retirement in 72′ was a blow for the company who could not rise to the standards set by its founder. It was save from bankruptcy by the Leyland company. By 1984, Jaguar bought its way out but failed to make an impressive comeback since it had lost its former appeal. 1989 was the year when Jaguar became part of the Ford Motor Company alongside British Land Rover. Ford’s tutelage only lasted until 2008 when Jaguar and Land Rover were sold to Indian group Tata Motors. Jaguar’s current line-up consists of luxury sedans such as the XJ models, the executive and fresh XF as a replacement of the S-type, the burgeois X-Type and the sporty XK. Finding yourself stranded in the middle of nowhere because you thought you knew were you were going is bad but it’s even worse when the cause of your distress is the very car you drive. Engine or suspension failure are not an option when going off-roading and Land Rover builders are well aware of this. That’s why when the vehicle’s creators, the Wilks brothers, designed the first Land Rover in 1948, they made it stout like an ox. The world-renowned vehicle was not the product of a lengthy car-builder’s pregnancy with new ideas but rather an answer to a why-not question type. Maurice Wilks, who was the chief designer at Rover and proud owner of a jeep, began thinking of building his own vehicle when he realized that the one he had would eventually break down. Jeeps had already proven their utility during WWII and civil versions of the military vehicles were on the verge of entering mass production. These were great times for the British to outdo the Americans with the launch of the Land Rover. Luckily, Wilks proved to Rover-factory heads that his design would be a commercial success as well as a reliable multi purpose vehicle that could easily challenge Jeep’s supremacy. The first Land Rover was revealed at the Amsterdam Auto Show on April 30, 1948 where it caught the eye of many. Far mode orders than the maximum that could be handled poured in, making a celebrity out of the freshly-launched vehicle. Built on a Jeep chassis, the Land Rover’s main selling points were its rugged, light weight construction and ability of effortlessly covering rough terrain. Great Britain was still a colonial Empire at the time and took full advantage of its position at the time to spread the Land Rover throughout its provinces. Before befriending expeditions leaders and off-road enthusiasts, the Land Rover became popular with farmers all across Great Britain. For farmers to embrace the idea of switching from horse to Diesel-powered vehicles, the Land Rover had to make proof of its capabilities which it sure did. Soon after, it became the car of choice among gentlemen and land lords. Soon after, the Land Rover became the main vehicle to be used in expeditions and gained a reputation unbridled up to this day for its reliability in extreme conditions. In fact, the Land Rover became so popular and was the means of transport to reach many remote areas around the world that it is claimed to be the first vehicle to have been seen by 1/3 of Earth’s population. Later models sported a sturdy 4WD system that immediately allowed Land Rover to breach new markets. By the 1970’s, Land Rover experienced a sudden set back with farmers turning to similar vehicles of Japanese make that could do a Rover’s job at increased affordability. The Asian car manufacturers had already made a reputation for their reliable vehicles and were close to conquering US markets, stage that Land Rovers were still far from. The situation was partially solved with the introduction of an improved Defender model that managed to regain some of its popularity. After a few ownership changes, Land Rover becomes property of BMW under which several new models are released as well as some minor and major upgrades are performed on older cars. The Disco and Freelander are the first two models released under BMW patronage that make a significant impact on the SUV and MPV market. Rugged construction is softened over quality styling. The 2000’s found Land Rover and Jaguar on their way to Ford following a transaction with the American producer. As of this point, Land Rover becomes the target of unfavorable consumer reports due to lesser quality and reliability. However, the rightfully thrown press-mud is wiped clean of Land Rover’s windshield as its cars go through a serious quality management process. 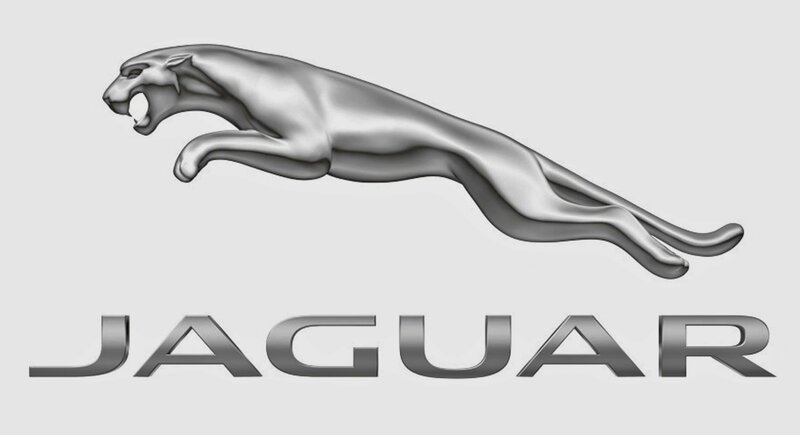 Despite its comeback, the company is once again passed to a new owner as of this year having become with Jaguar part of the Indian Group Tata Motors. One of the most easily recognizable cars in the world, the Mini has managed to attain cult status despite the fact that it’s as common as they come. The idea and the design of the Mini came from the British Motor Corporation originally, but the small car has undergone several changes when it comes to the producer. Back in the 60s it started a whole new craze because, despite it being very small, it actually had enough space inside for passengers and luggage. This was thanks to the innovative design of the front wheel drive and engine. Initially, the cars were sold either under the Austin or the Morris badge. It wasn’t until 1969 that Mini became a marque of its own. The Minis were also quite efficient from the performance point of view, having a unibody that further reduced weight and granted more space inside the car. Its design became so known that by 1990 Rover Group, descendants of BMC, decided to trademark the car. The first Mini was produced in August 1959, the Mark I also known as the Austin 850 and the Morris 850 in international markets, while in the UK they were known as Austin Seven or the Morris Mini-Minor. Until the end of the first generation in 1967, the cars received several upgrades including better suspension and automatic transmission. The second generation of cars was produced between 1967 and 1970. They had a redesigned front grill and a larger rear window. It was these cars that were used to make the hit film “The Italian Job” in 1969. An interesting version of the Mini can in 1961 when John Cooper, owner of the Cooper Car Company saw the potential of the small cars and decided to create the Mini Cooper, a more powerful version of the basic Austin Mini Cooper and Morris Mini Cooper. It had a bigger engine at 997cc, 55hp, twin SU carburetors, a closer ration gearbox and disc brakes. The good reviews for this version led to the development of an even sportier version, the Mini cooper S in 1963. Cooper also built cars specifically for the racing circuit. These were particularly successful in the Monte Carlo Rally which they won in 1964, 1965 and 1967 (in 1966 they were disqualified despite finishing on the top three positions). The third generation of Minis, the Mark III, came between 1970-2000. These had bigger bodies, concealed door hinges and winding windows (previous models had sliding ones). Despite all their best efforts, the manufacturers simply couldn’t bring that new air look to the Mini, now in serious need of a make-over, a fact which severely affected overall sales. The only way that the Mini survived during the 80s and 90s was to come up with “special editions”. This was in part the doing of BMW which bought the remnants of BMC under the Rover badge. These models were seen as cool fashion icons, a touch of retro in an otherwise modern market. But BMW wasn’t finished with the Mini logo which it still held, in 2001, the technologically advanced New Mini was launched, which was otherwise unrelated to the old car. In 2007 the number of car produced reached 1 million.